BRYAN EATON/Staff photo. 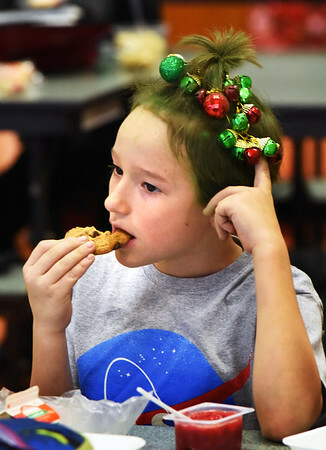 Connor Forisso, 8, enjoys his lunch at the Cashman Elementary School in Amesbury with dyed green hair and Christmas ornaments in his hair. It was Crazy Hair Day at the school, part of Spirit Week leading up to school vacation.